This is a rare item and absolutely SUPERB condition...it must have been kept in a drawer. 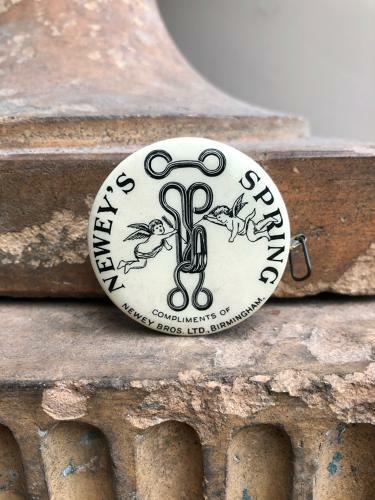 Advertising NEWEY'S SPRING Hooks and Eyes it is a fully working tape measure. Pull out the tape measure and it springs straight back in. Just excellent.